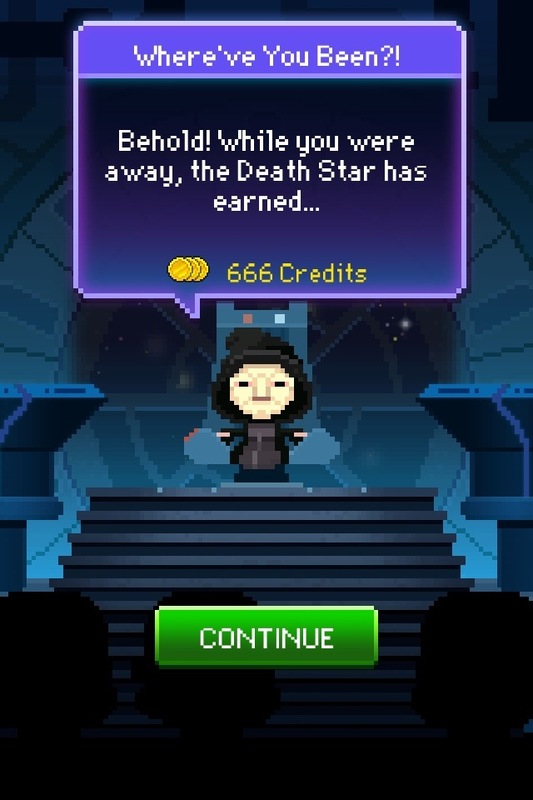 [Games] Tiny Death Star – i swear to goth. Yes, Death Star! Earn those credits for sinister business! Not since Candy Crush Saga has my face been as glued to my iPhone since I downloaded Star Wars Tiny Death Star. The object is to finance your own version of the Death Star by adding floors of commerce and residence to be filled by tiny 8bit versions of your favorite Star Wars species. So I have four Imperial levels (levels below the first floor where people are interrogated, rebel secrets are compiled and maps are created) and 12 assorted levels of apartments, retail space, restaurants and recreational activities, such as Holochess. It’s pretty much the best time waster ever. Available on iPhone and Droid.